Social event and Carrington planning session. We’ve reserved some space so we can look at transport plans and options for the new housing developments in Carrington. 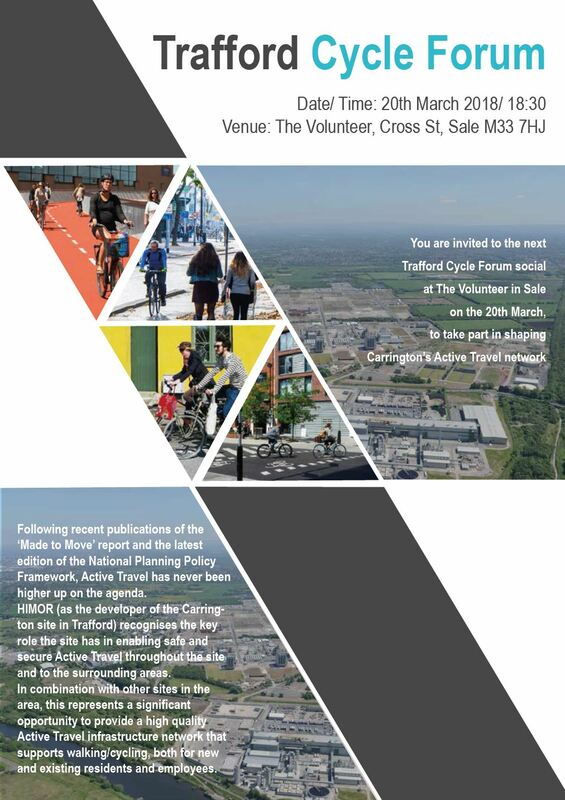 From 18:30 to 20:30 we’ll consider transport plans and options for the new housing developments in Carrington, with a forum member who’s professionally involved in this project and would like our input. Social thereafter. Everyone’s welcome so you’re welcome to forward the details to anyone you think might be interested.